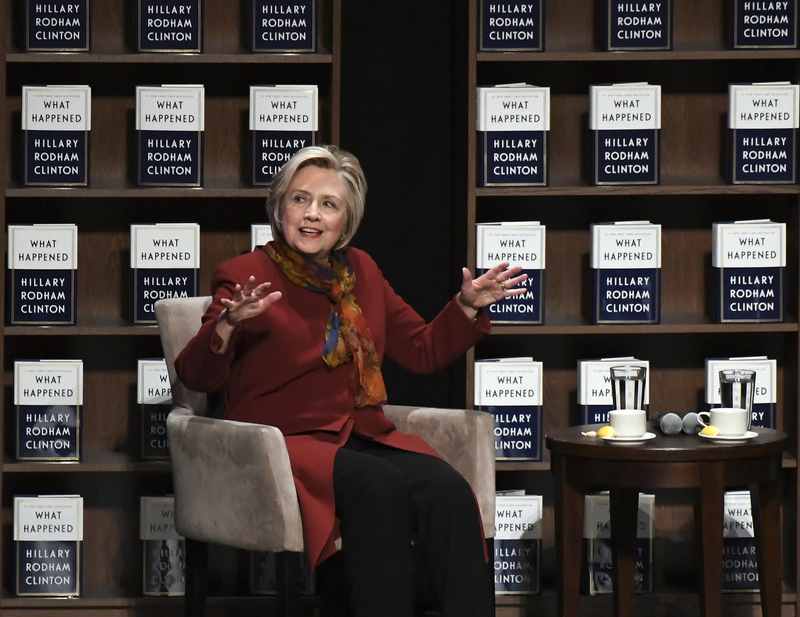 With the year winding down, Hillary made the last few stops on her book tour. She sat down for a chat with Mary Beard. 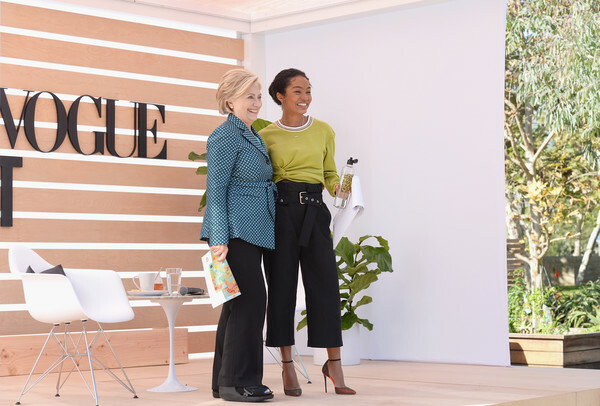 She was welcomed enthusiastically at the Teen Vogue Summit. 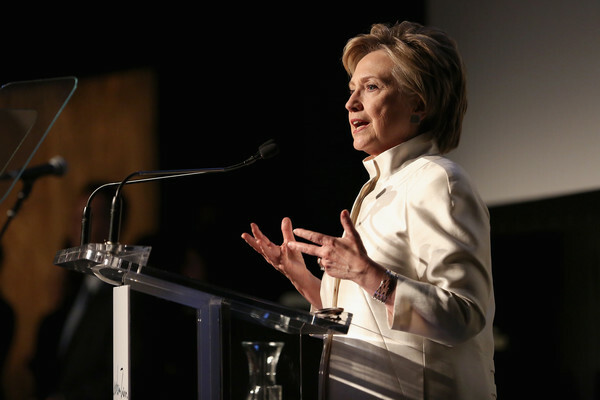 She spoke at a fundraiser for Congregation Beit Simchat Torah. She held a book signing in Concord, NH and was honored by Big Sister Boston. She reached out on social media and via email in defense of CHIP, Medicare and Medicaid and published an essay calling for radical empathy on Medium. 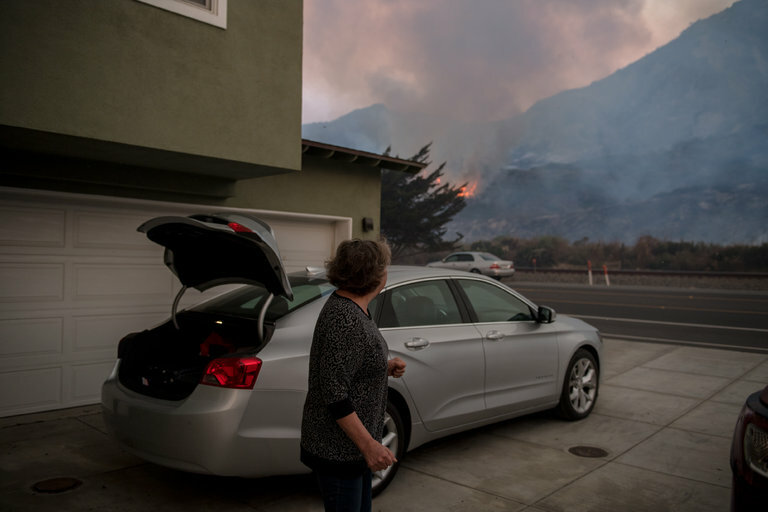 Again using social media, she reached out to those in the paths of the devastating wildfires in California. Then she headed to the west coast herself. She held a book signing in Seattle. She mourned the unexpected passing of San Francisco Mayor Ed Lee and applauded the victory in Alabama of Doug Jones. 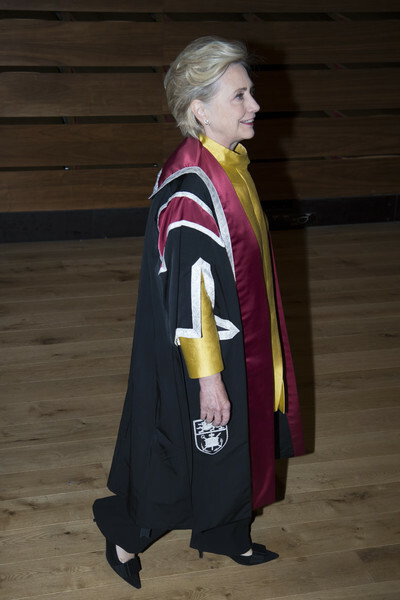 On the 13th she made her last scheduled book tour appearance in Vancouver. 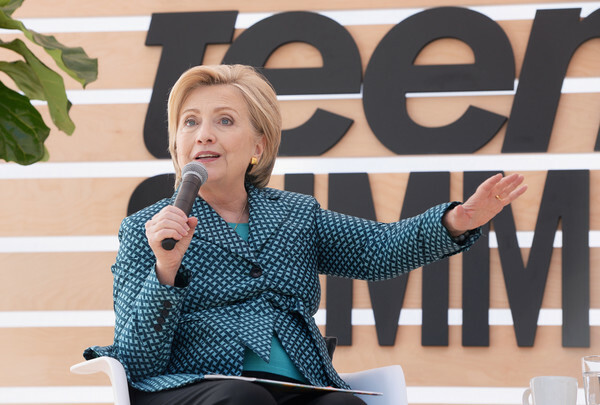 In Los Angeles, she spoke at the Girls Build Leadership Summit. She stopped by for a few televised chats. With Ellen DeGeneres and with Steve Harvey. She “sang” lustily in and end-of-year video on The Daily Show. Onward Together endorsed iVote, The Arena, Alliance for Youth, Latino Victory, Voto Latino, and The Collective. She sent out a warm Christmas greeting. 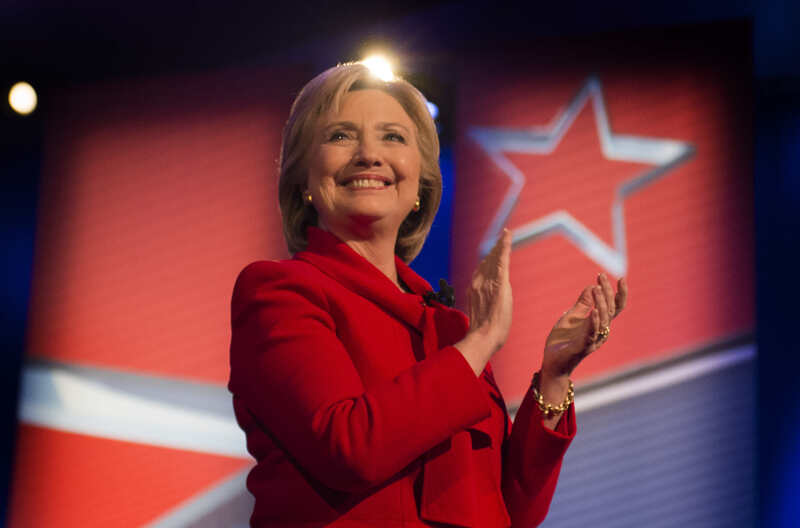 Gallup declared Hillary the Most Admired Woman for the 16th year in a row. 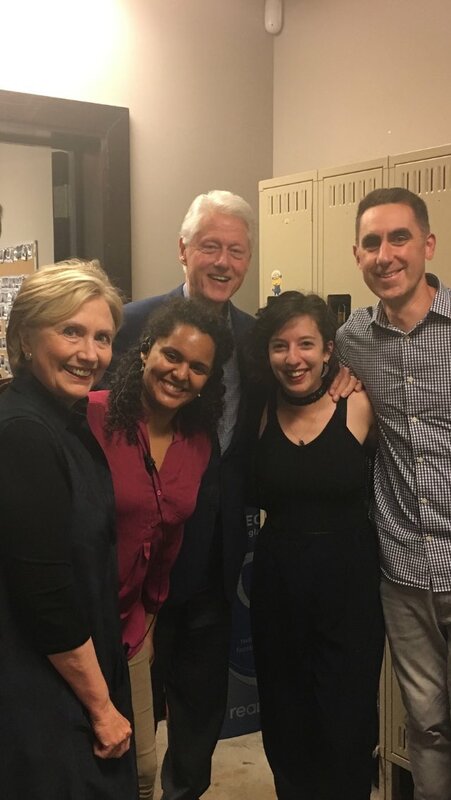 She ended 2017 back on Broadway where she saw The Band’s Visit with Bill and Chelsea. Happy New Year! Here’s to a Blue 2018!!! Onward! Let’s DO this! 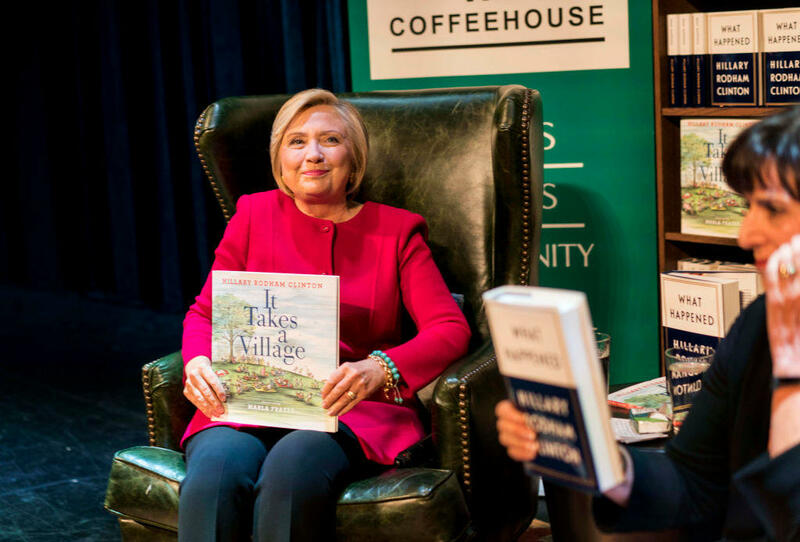 The book tour rolled on in November and Hillary stopped in for a chat with Trevor Noah. 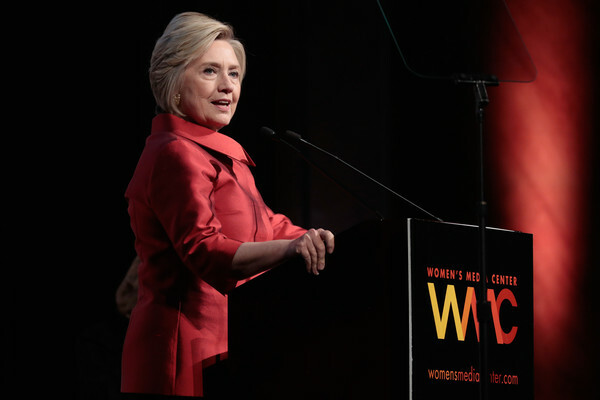 She received the Democratic Woman of the Year Award. Virginia and New Jersey elected Democratic governors and a blue wave rolled through state houses with blue implications for the mid-terms next November. 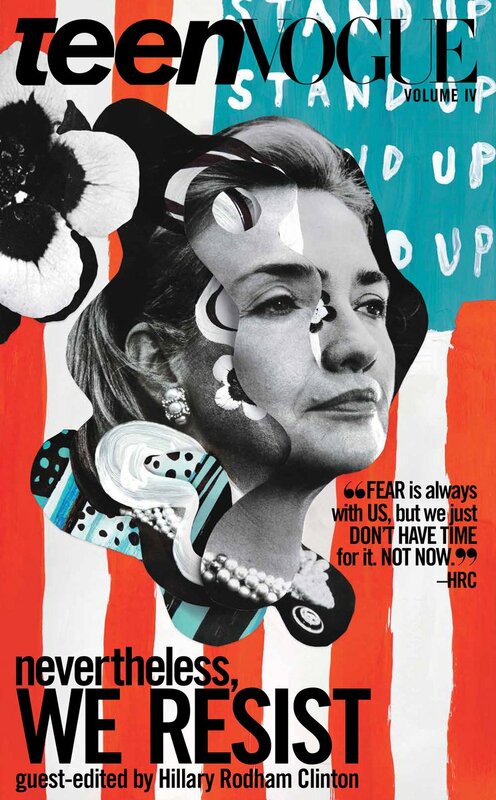 As if she wasn’t busy enough, Hillary took on editing responsibilities for the final print copy of Teen Vogue, a publication with increasingly respected political chops! She dropped in on Seth Meyers. On the anniversary of the first female major party candidate winning the popular vote there was no rending of garments or primal screams unto the skies. In fact we celebrated the new candidates who ran and won the day before what was expected to be a morose anniversary. 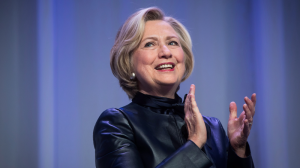 We took to Twitter and sent a great big thank you kiss to Hillary … for everything! 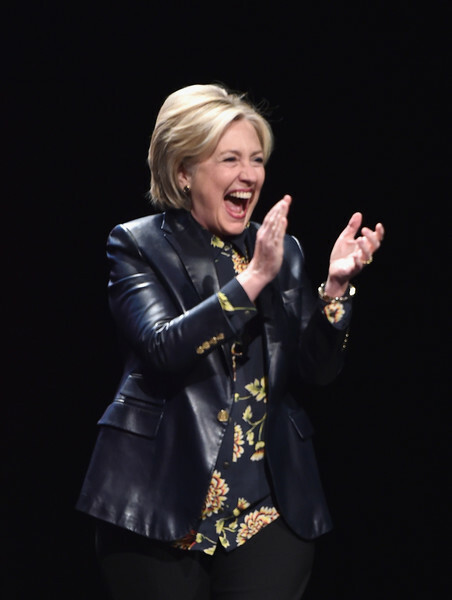 #ThankYouHillary trended on Twitter in a completely spontaneous tweet storm. 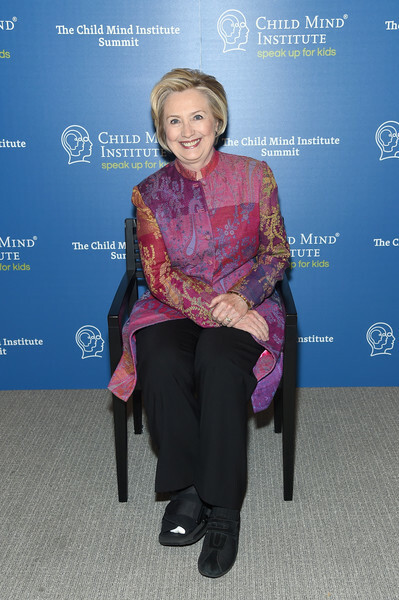 On the 13th, Hillary was in New York to speak at The Child Mind Institute Summit: The State of Child & Adolescent Mental Health. 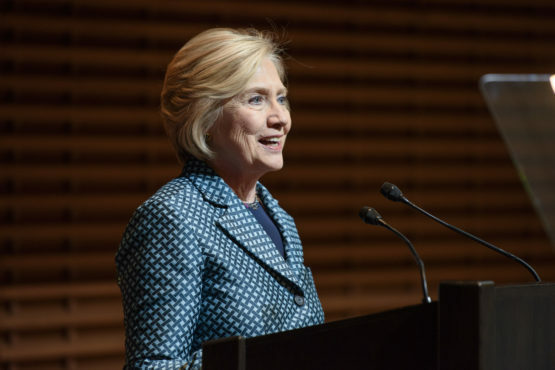 She was keynote speaker at UVA’s Women’s Global Leadership Forum. 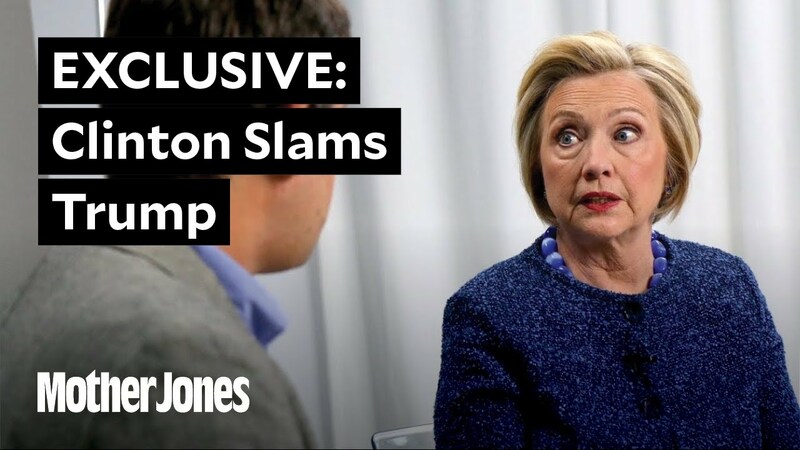 She was interviewed by Mother Jones. Onward Together endorsed Swing Left. She was feted at Town Hall by a slew of stars at a Planned Parenthood fundraiser, and she saw the Tony Award winning Dear Evan Hansen. Hillary was at the Bellco Theatre at the Colorado Convention Center. 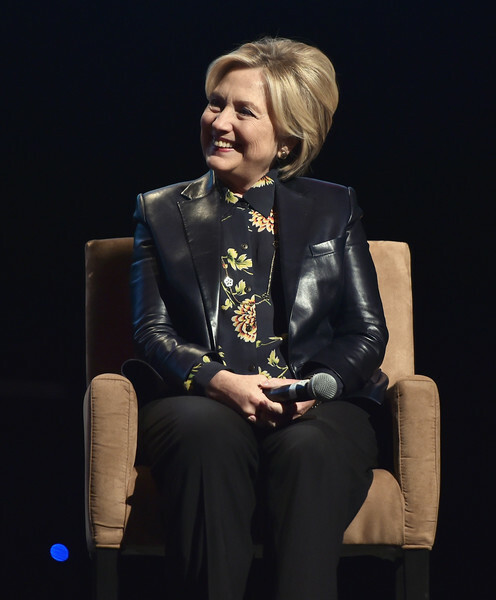 John Leyba, The Denver Pos Hilary Clinton addresses the audience about her new book, “What Happened” on Nov. 16, 2017 at the Bellco Theatre at the Colorado Convention Center. She spoke with April Ryan about sexual harassment. She also sat down with Rita Cosby. She appeared in Atlanta and our friend Winston Groat attended. 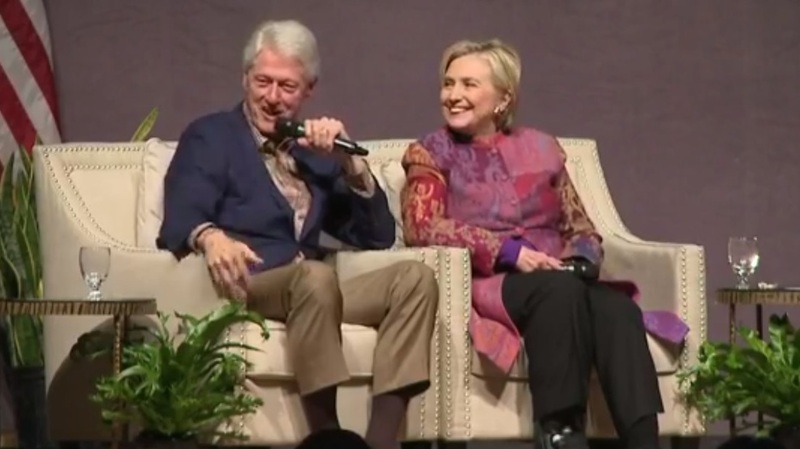 On the eve of the anniversary weekend in Little Rock, Bill and Hillary Clinton made a joint appearance in Irving, Texas where Hillary also held a book signing. Then the pair were off to Little Rock for the 25th anniversary of the 1992 election. Home again in Westchester, she spoke to a record crowd at the Business Council. Time Magazine named What Happened the #1 book in the non-fiction category for 2017. Other publications and booksellers agreed. She sat for a chat with Hugh Hewitt! She sent a video to the Caijing Conference with a warning about North Korea. She was received warmly in Boston, of course! Like September, October was a month of whirlwind activity with appearances, interviews, and book signings. Thinking Cap is the podcast of the Center for American Progress. 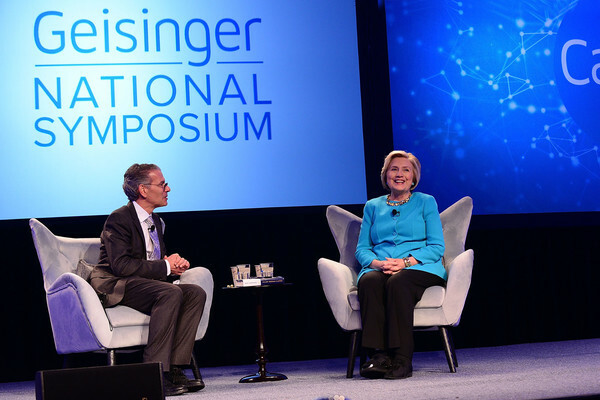 Hillary Clinton sat down for an interview with co-hosts Michele Jawando and Igor Volsky to discuss the massacre in Las Vegas, weapons proliferation, and the response to hurricane Maria in Puerto Rico. 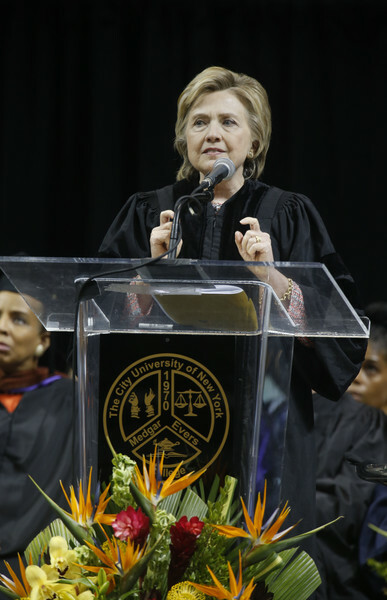 She spoke on those same topics to a sold-out Broward Center for the Performing Arts in Fort Lauderdale. She dropped by for a visit with Jimmy Fallon, the Tonight Show women writers, and Miley Cyrus. 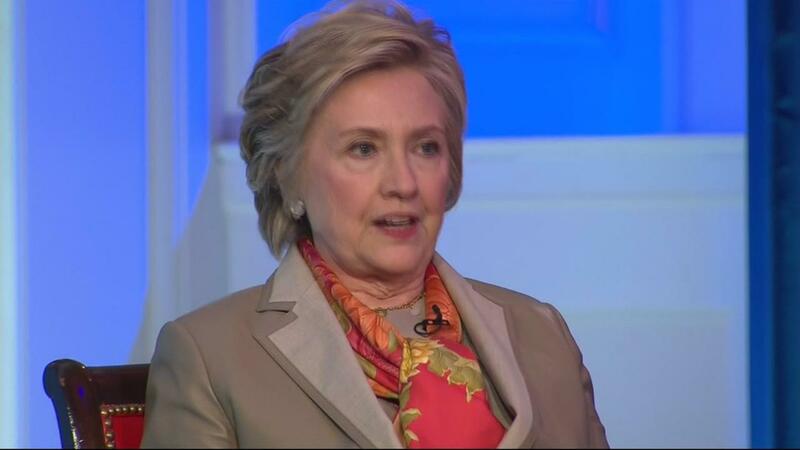 While in Europe, Hillary appeared on Dutch TV. 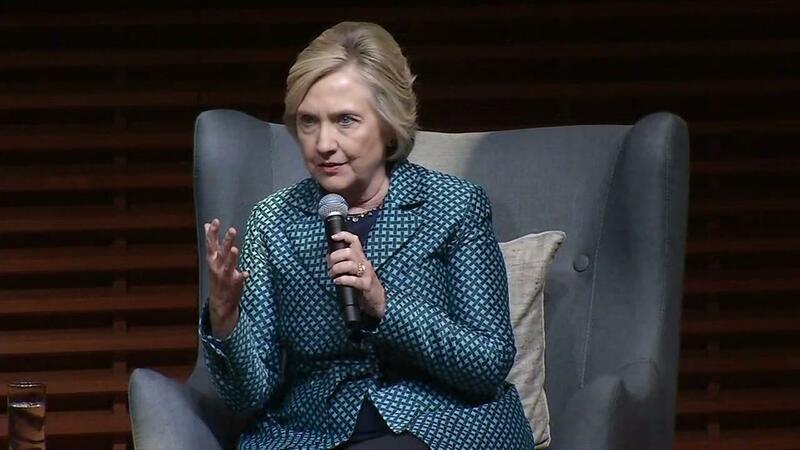 On the 7th she spoke at Stanford on the topic of cyber warfare. She gave an interview to Parents Magazine. She appeared on Australian TV and spoke at UC Davis on a broad range of issues including the California wildfires which she linked to climate change. Onward together endorsed Emerge America. 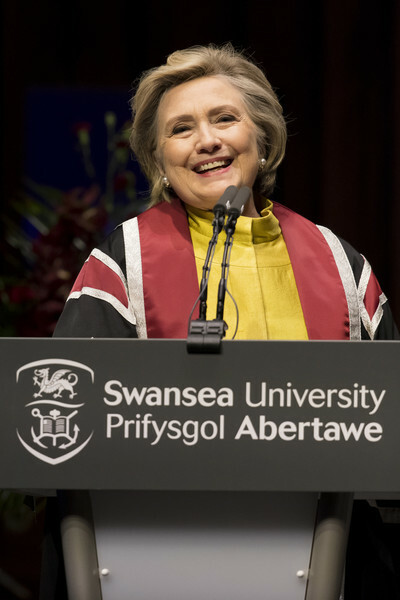 In Wales, she was doubly honored by Swansea University which conferred upon her an Honorary Doctorate of Law and forthwith renamed its law school The Hillary Rodham Clinton School of Law. 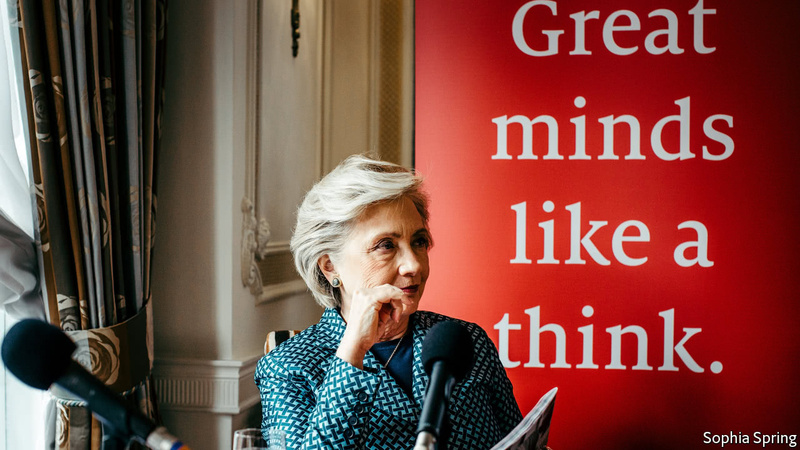 Hillary stopped by for a chat with Fareed Zakaria and spoke at the Cheltenham Literature Festival. , but, boot notwithstanding, she made it to her appearance on the Graham Norton Show. 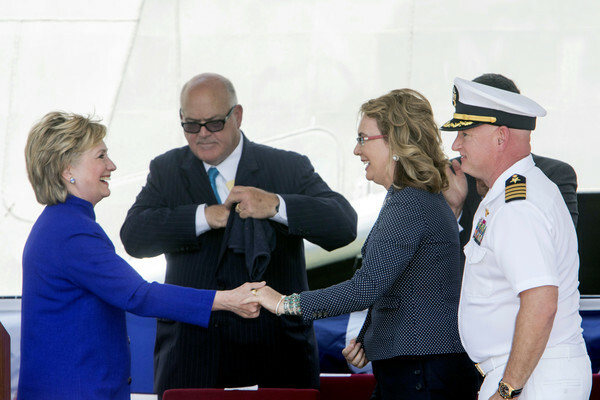 Mid-month, Trump baited her by begging her to run again. She refused the bait. IMO She does not owe us anything! She gave an interview to The Economist. On the 24th she took a trip above the border for an appearance in Montreal. 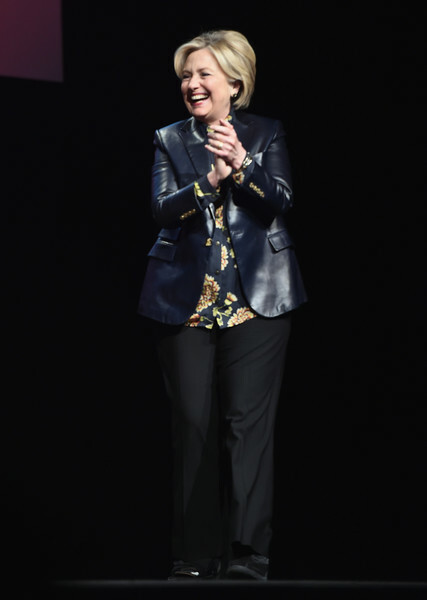 Then she looped down to Ann Arbor for an event there. 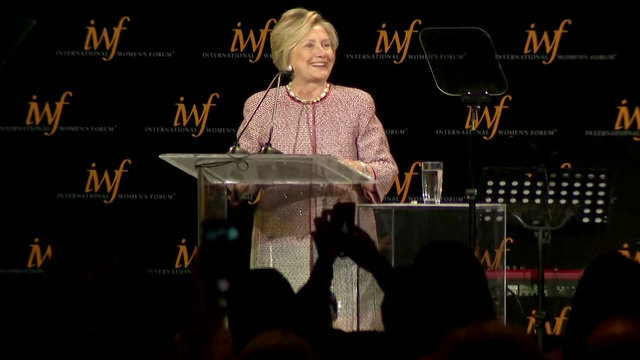 The International Women’s Forum & Leadership Foundation inducted Hillary Clinton into their Hall of Fame two days later in Houston. 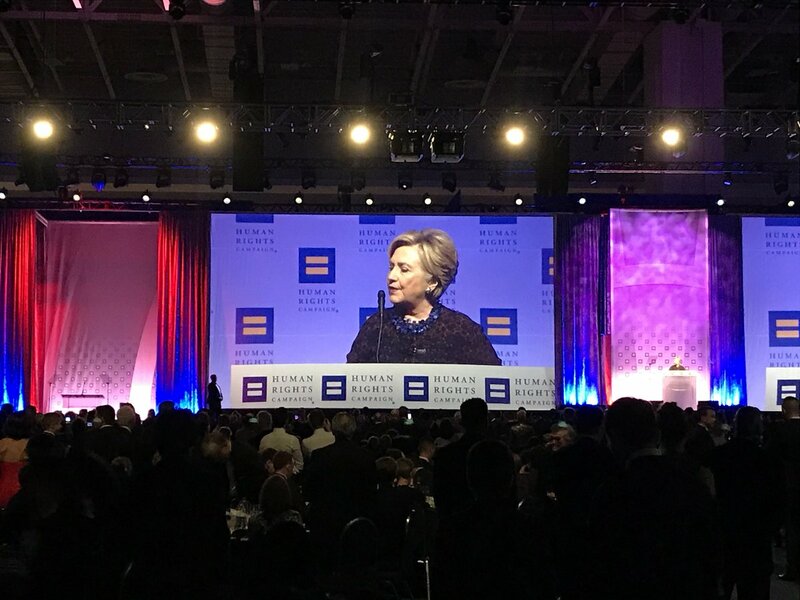 She spoke at the Human Rights Campaign National Dinner. Her private birthday party was at Estela. She was in Winnetka for a book signing. 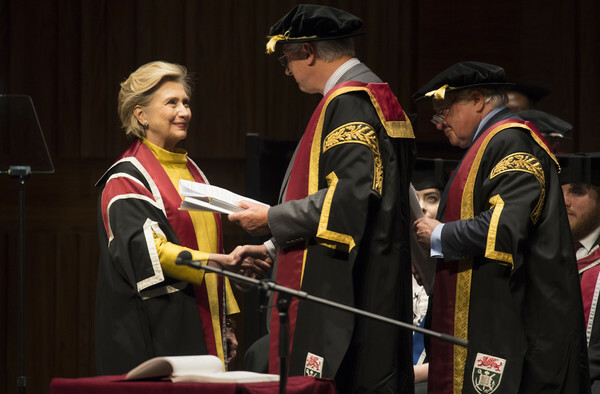 Hillary ended her birth month with the honor of receiving, from Roosevelt University, the inaugural Eleanor Roosevelt Social Justice Award. 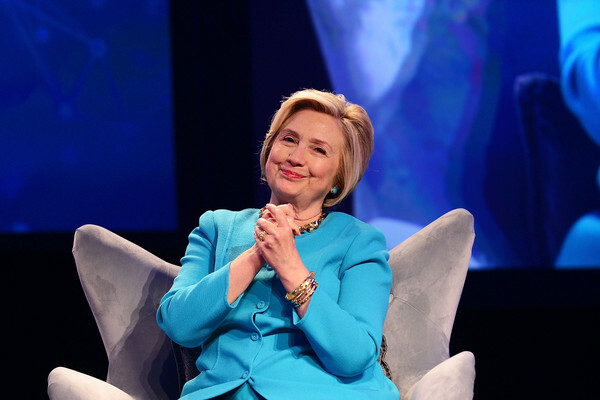 August was a month for organizing and also kicking back some for Hillary. 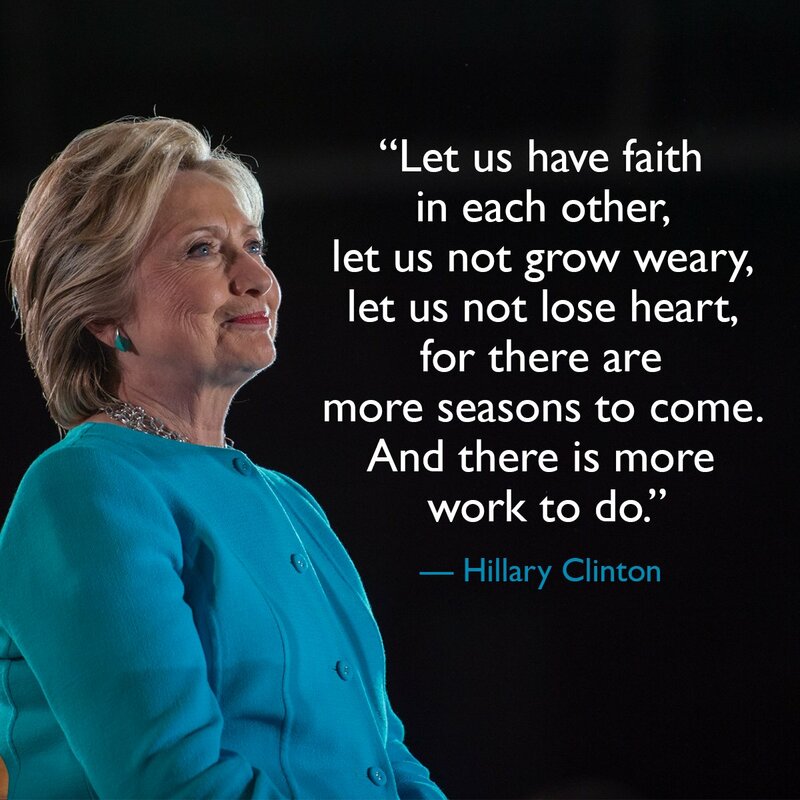 She was still putting the finishing touches on her book, but she was also getting Onward Together off the ground. She was out and about with her girlfriends in New York and attended a special screening of ‘Wonder Woman’ with Bill. 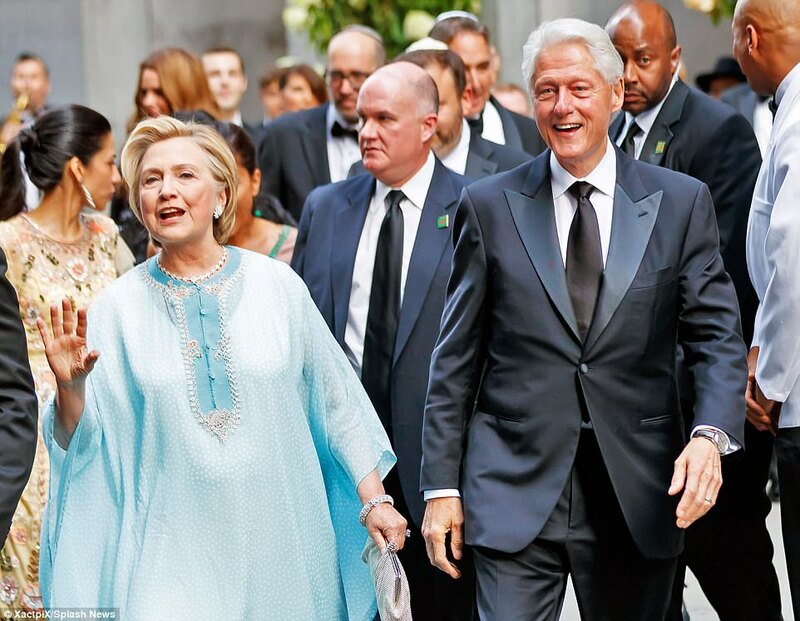 Hillary and Bill were among many big names at the wedding of Sophie Lasry, the daughter of Avenue Capital Group founder Marc Lasry. 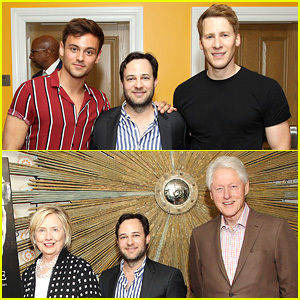 Before leaving on vacation, Bill and Hillary attended a screening of ‘Rebel in the Rye,’ a biopic about J.D. Salinger. 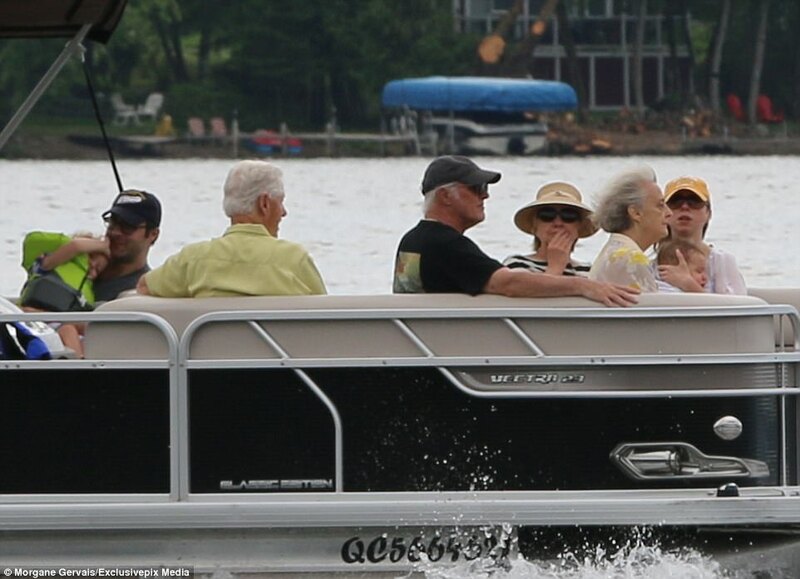 And then the Clintons were off on vacation in Quebec! They all were out for a boat ride on Lake Massawippi. 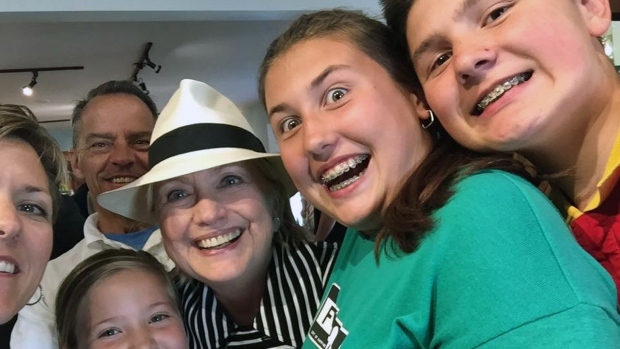 Hillary was sporting a fashionable chapeau while shopping at a popular bookstore in Knowlton, Quebec. 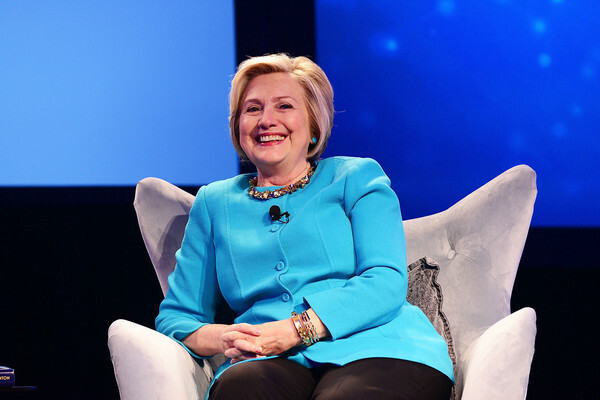 As August drew to a close, announcements began coming out about stops on Hillary;s upcoming book tour and speaking engagements. 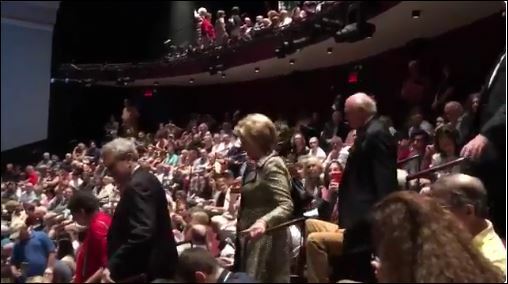 The Clintons began July at the Vivian Beaumont Theatre where they saw ‘Oslo’ and the audience gave them a standing ovation. 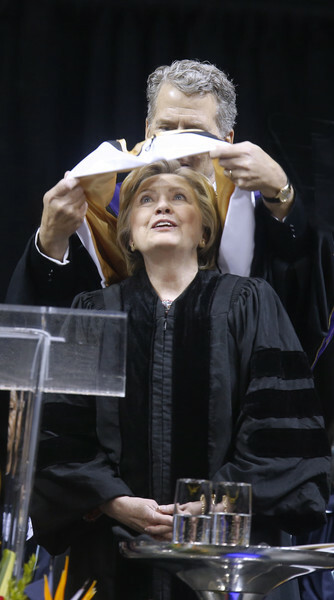 Hillary spent most of July working on her book. She did take time to respond to snarky tweets from the GOP. 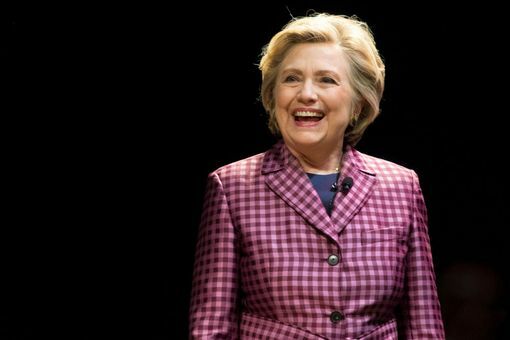 Samantha Bee was selling a “Nasty Woman” shirt to benefit Planned Parenthood, and Hillary Clinton joined her advertising campaign. 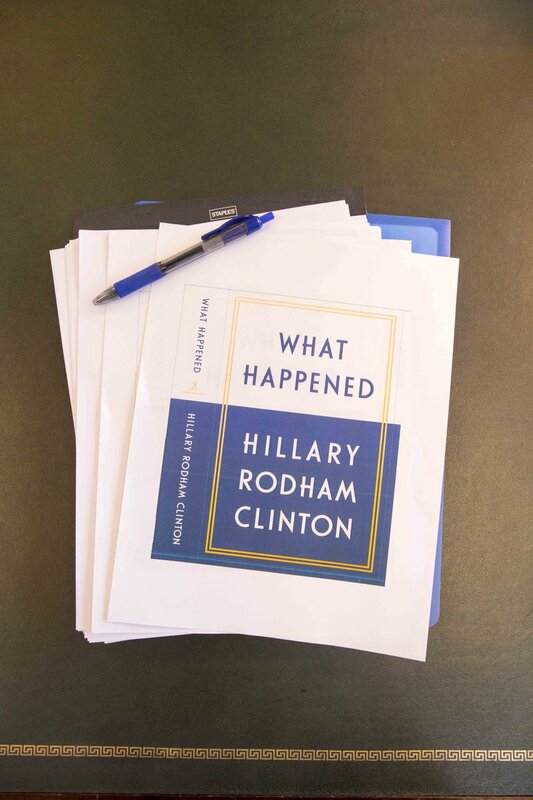 Toward the end of July, Hillary announced the title of the new book she was working on tirelessly. 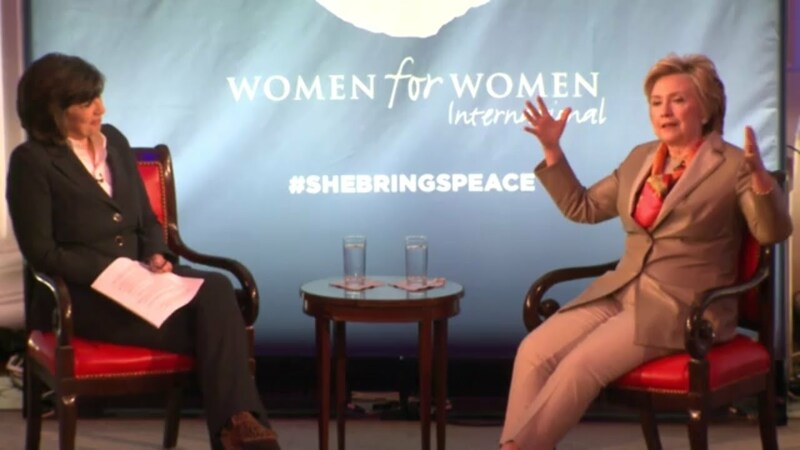 On June 2 Hillary was interviewed by Cheryl Strayed who wrote (and experienced) Wild and said she’s been reading mysteries. She mentioned Louise Penny. I went through every Louise Penny book this year as an escape from the political news. 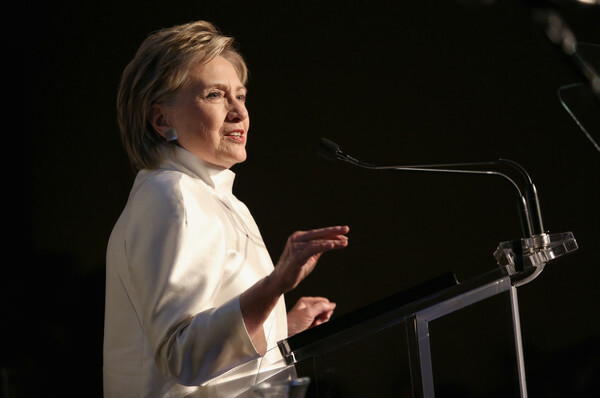 Hillary Clinton was the guest of honor and the keynote speaker on June 6 at a Baltimore fundraiser for a youth program sponsored by Elijah Cummings. 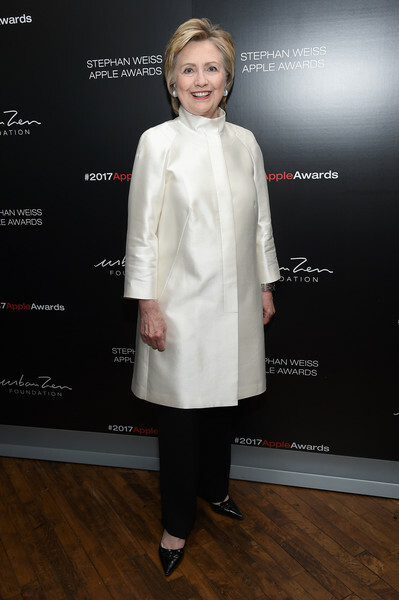 Hillary was honored June 7 at the 2017 Stephan Weiss Apple Awards in New York City. 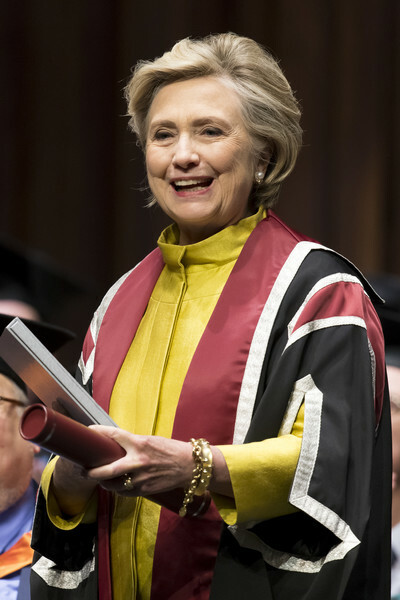 Hillary Clinton delivered the commencement address on June 8 at Medgar Evers College of the City University of New York which awarded her an honorary Doctor of Letters. 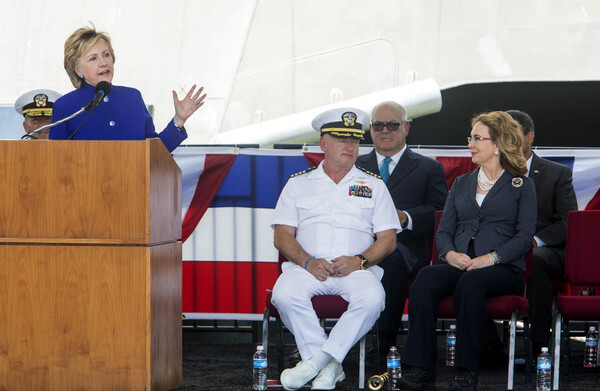 On June 10, she attended the commissioning of the U.S.S. 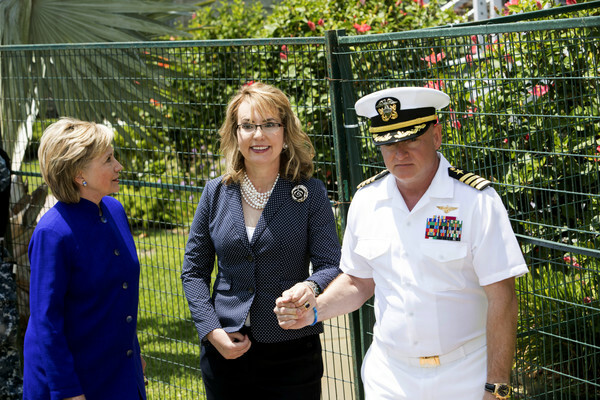 Gabrielle Giffords. 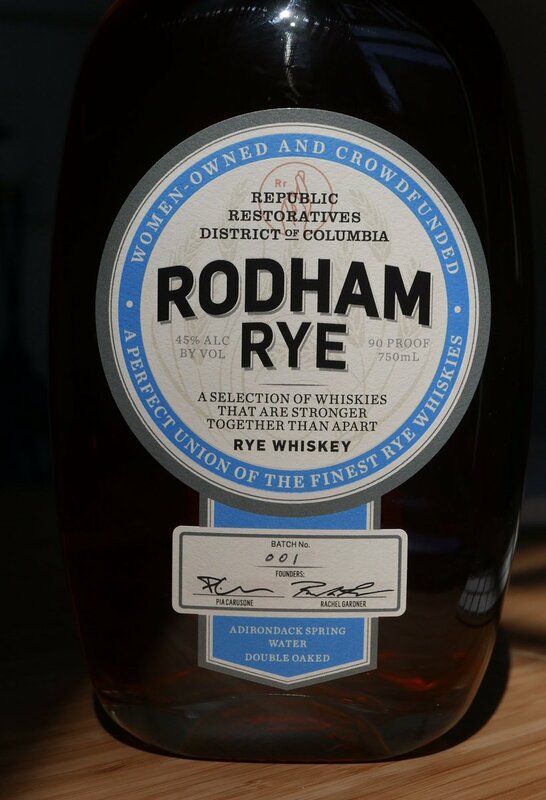 On June 11, she endorsed Rodham Rye. She made a surprise video appearance at the Women in Film Crystal + Lucy Awards. 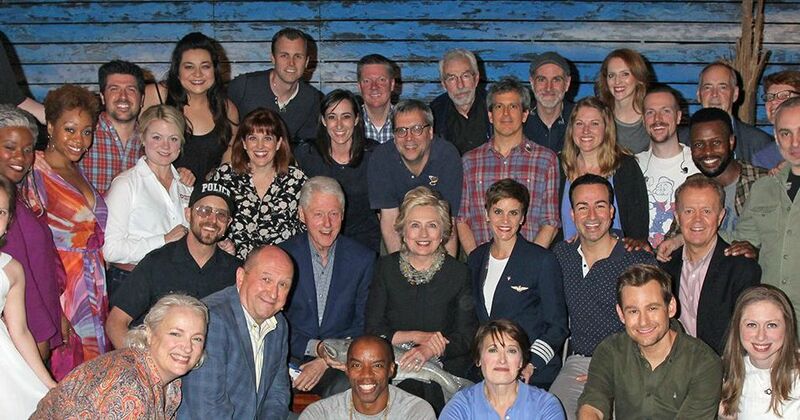 The Clintons saw the award-winning Broadway hit ‘Come from Away.’ Again the audience gave Hillary a standing ovation. 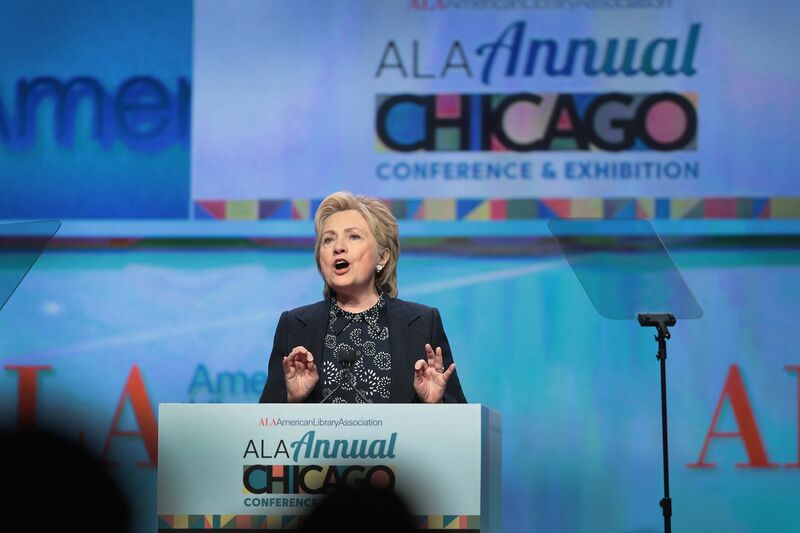 Hillary ended the month in Chicago on June 27 to deliver the keynote speech at the American Library Association conference. She stopped off at Tuscany while in Chicago for a bite to eat. 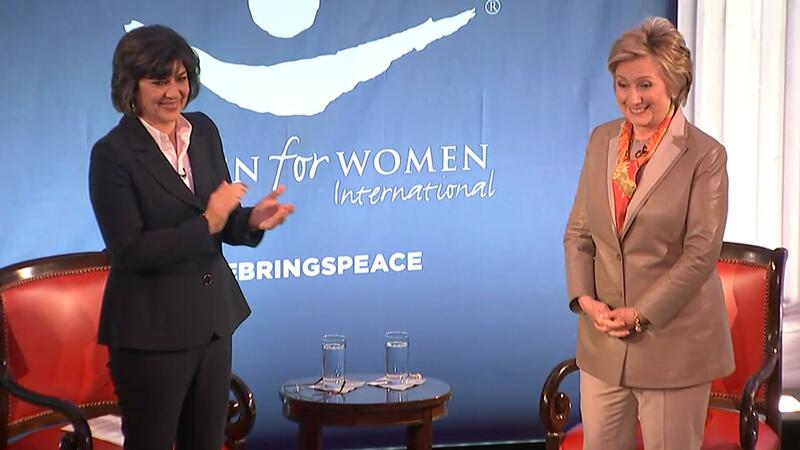 Christiane Amanpour conducted an interview with Hillary Clinton at the annual Women for Women International luncheon on May 2 in New York City. 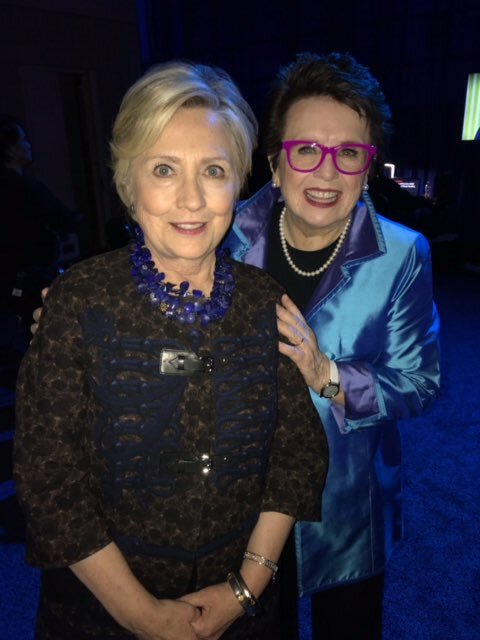 Hillary was honored as Champion of the Century at the Planned Parenthood 100th anniversary gala on May 3. 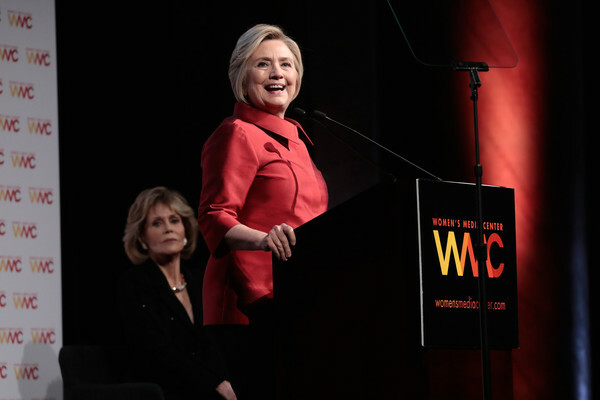 On May 4, Hillary Clinton was honored at the Ms. Foundation for Women’s annual Gloria Awards and Gala. 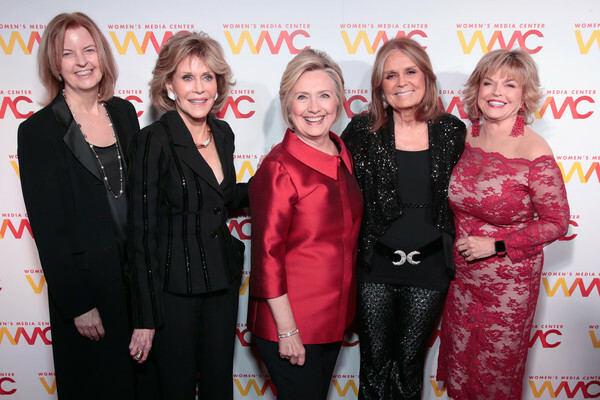 On May 6, Hillary attended Barbra Streisand’s concert and the Barclay’s Center and Babs gave her a shout out. 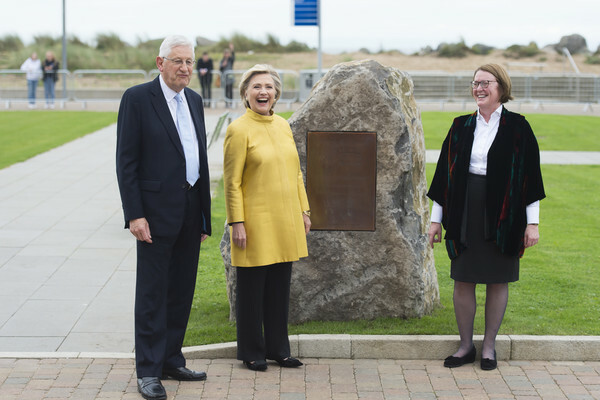 On the 15th, Hillary announced the launch of Onward Together. 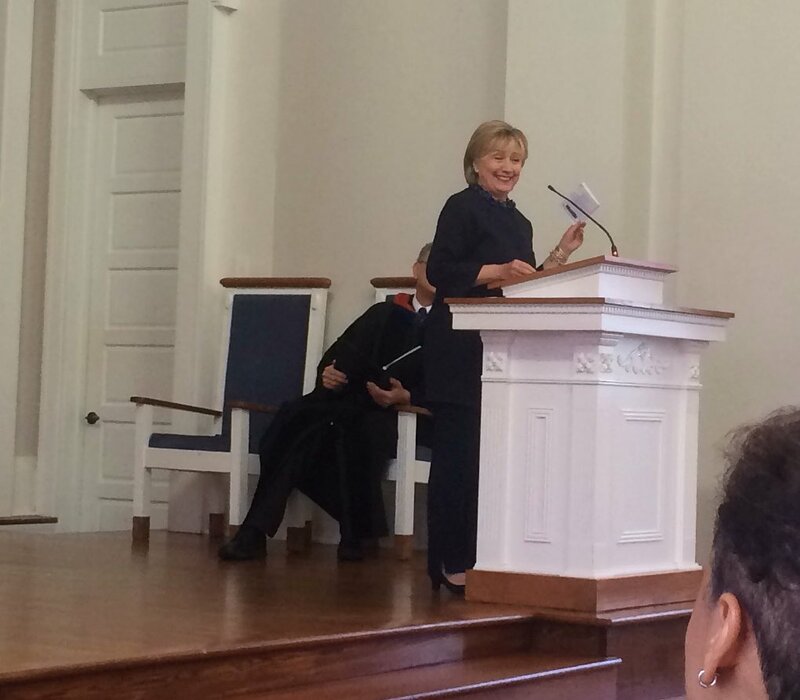 On the 22nd she visited Oxford, Mississippi in memory of a friend. 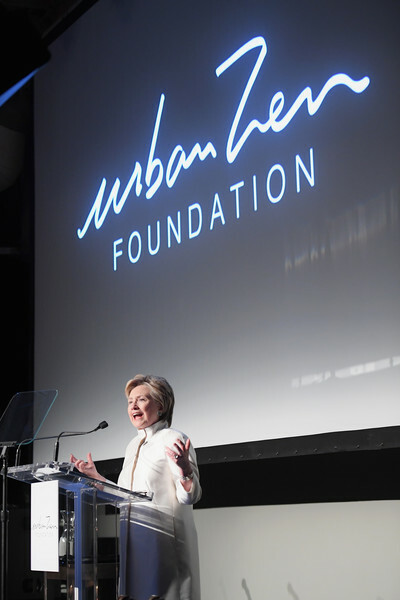 Hillary Clinton and former NY Yankee, Bernie Williams, were honored by the Children’s Health Fund at their annual benefit on the 23rd at Cipriani. Hillary gave the keynote speech and Bernie provided music. 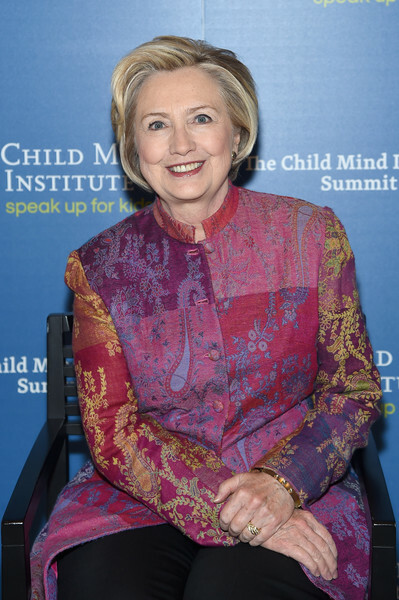 Also on the 23rd, both Clintons made an appearance at the Children’s Network Gala. 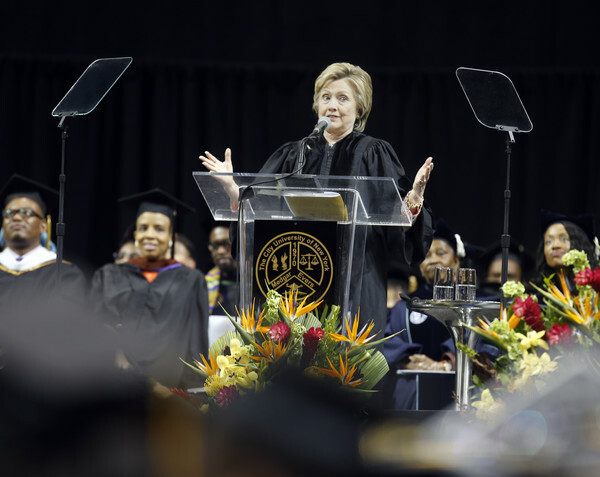 Hillary returned to Wellesley on the 26th to send off the class of 2017 with a rousing commencement speech replete with reminiscences and hope for the future. 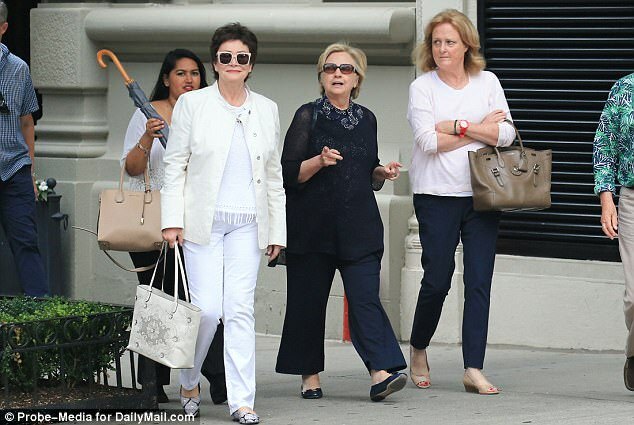 Rain didn’t stop her from her traditional Memorial Day march in Chappaqua. 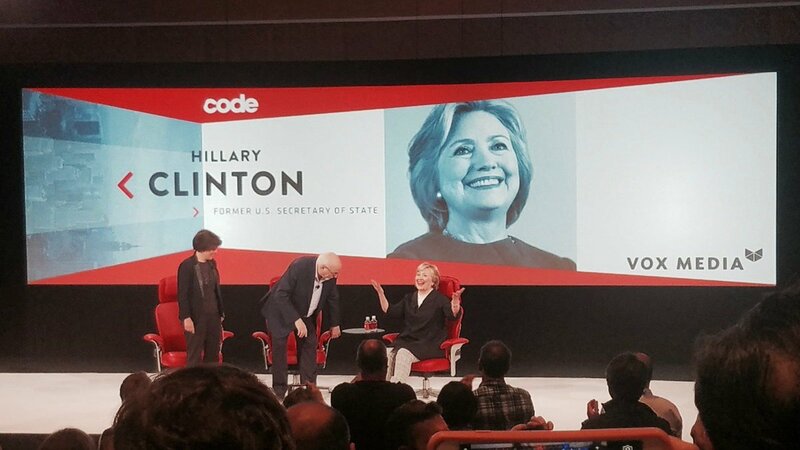 Hillary ended the month at CodeCon 2017.